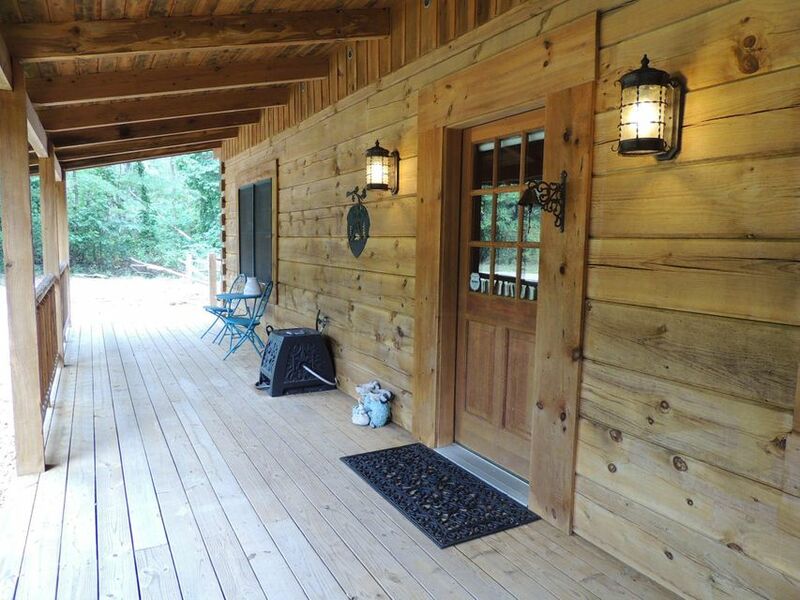 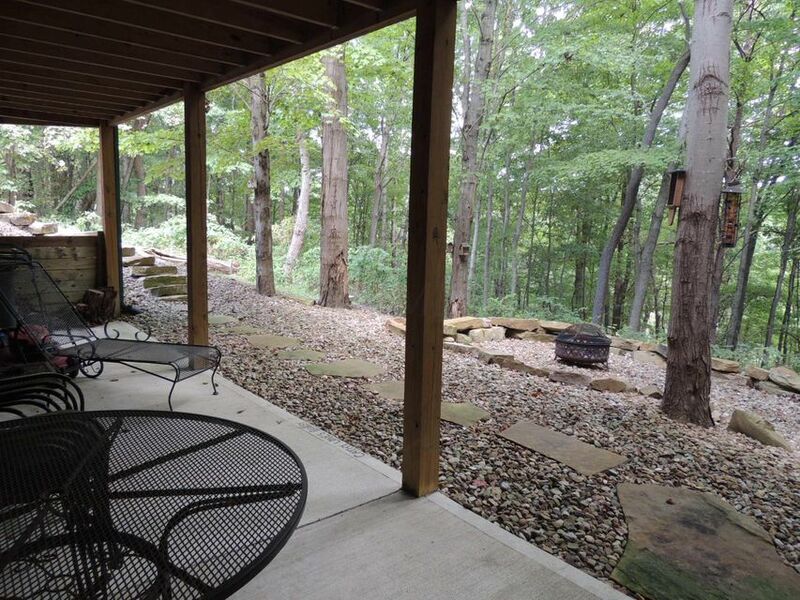 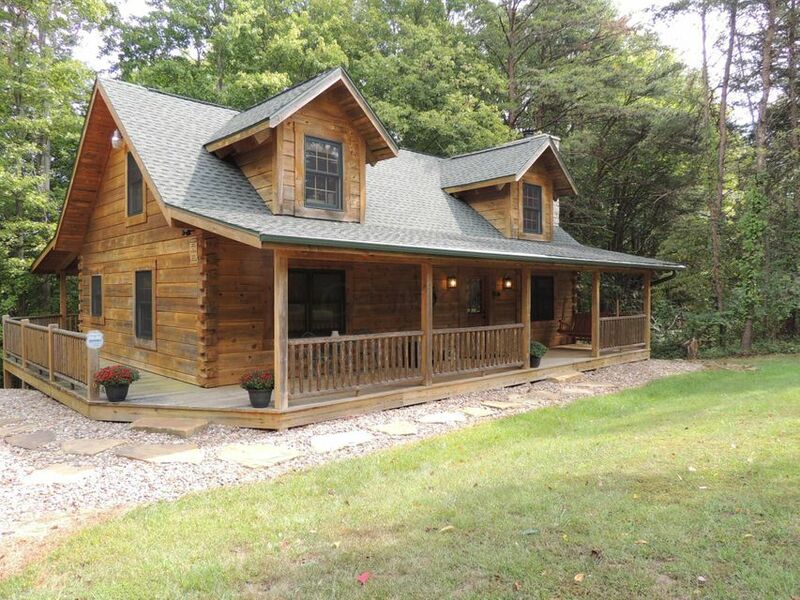 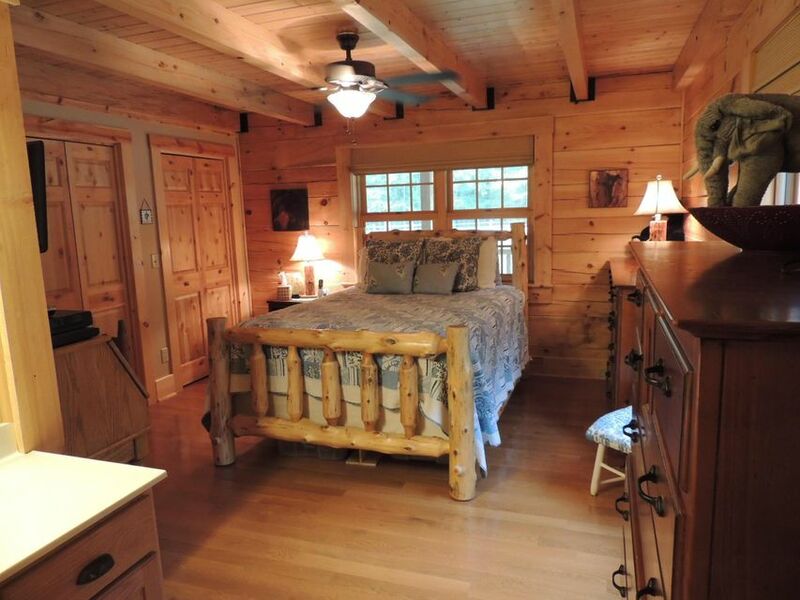 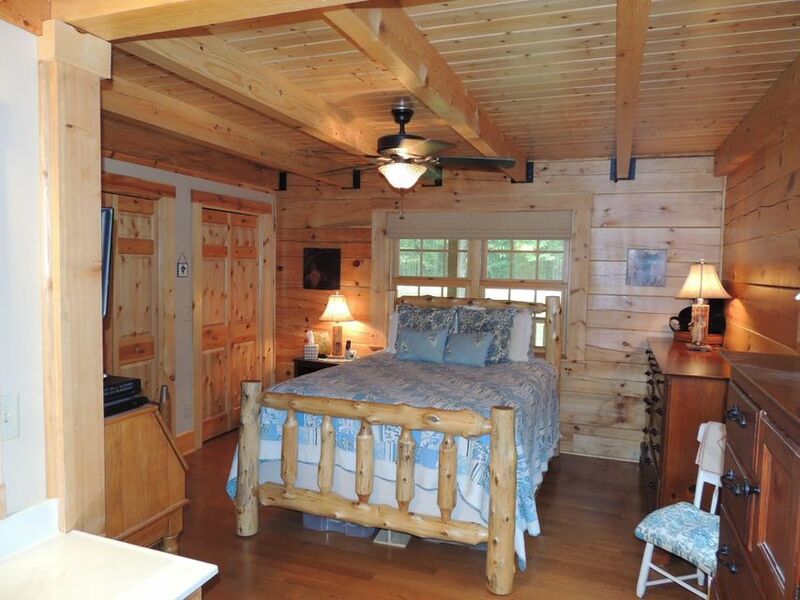 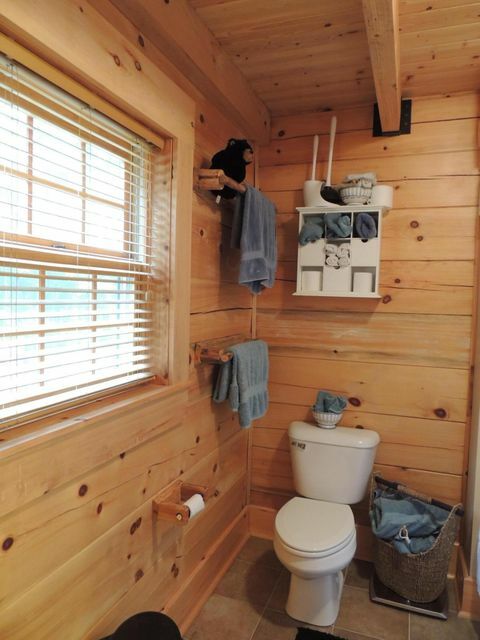 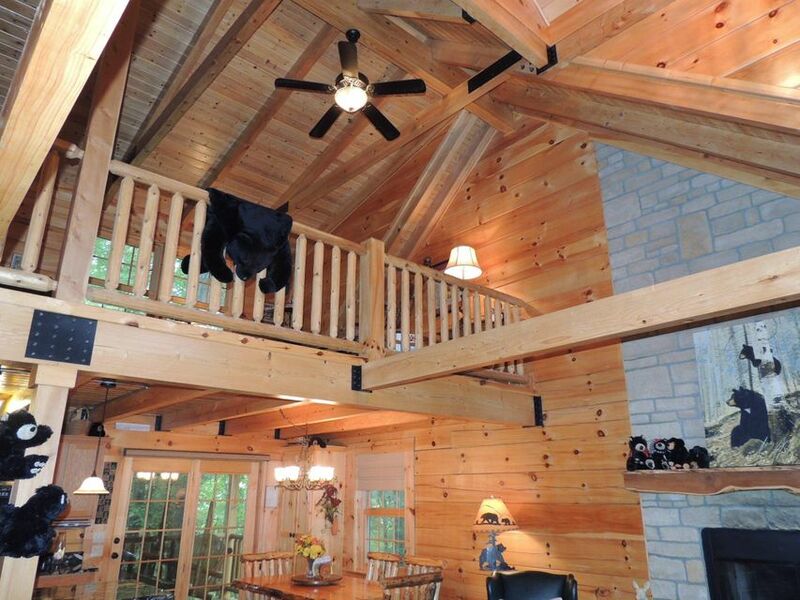 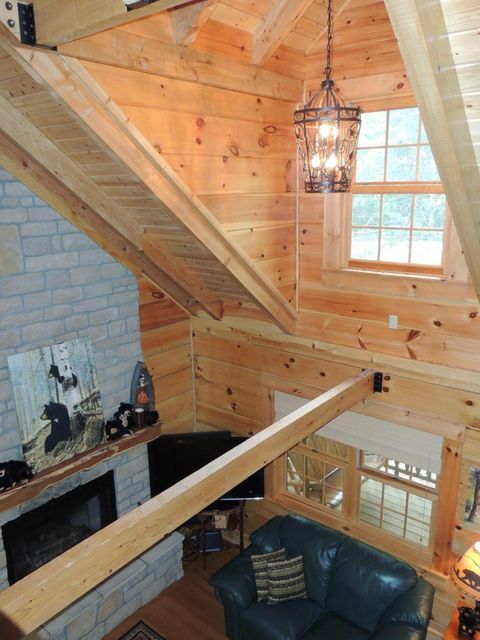 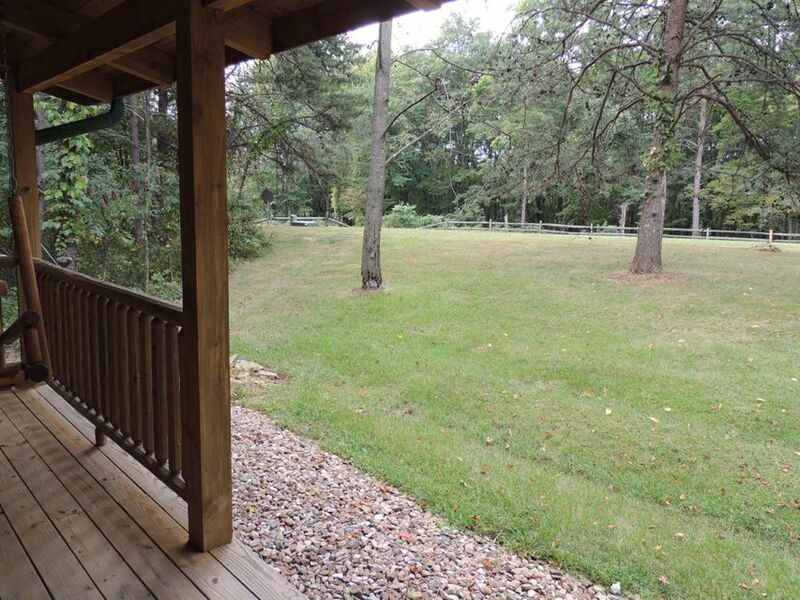 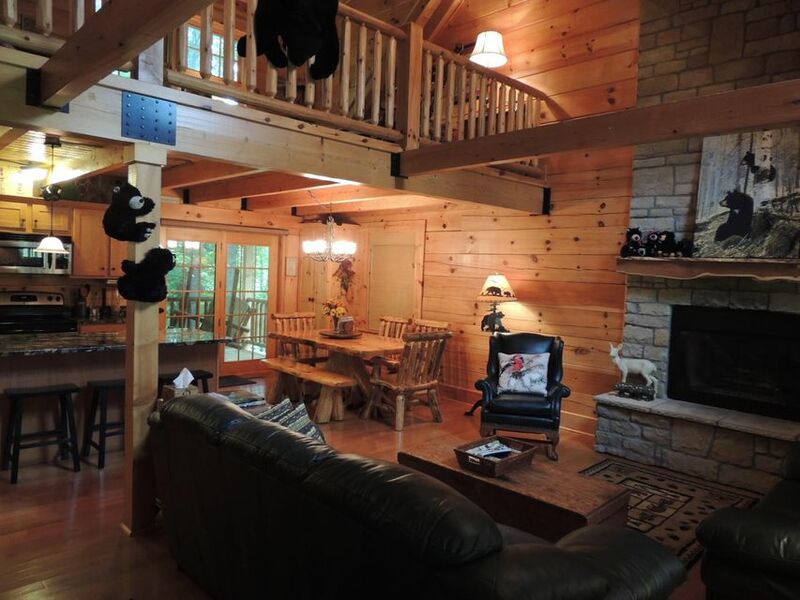 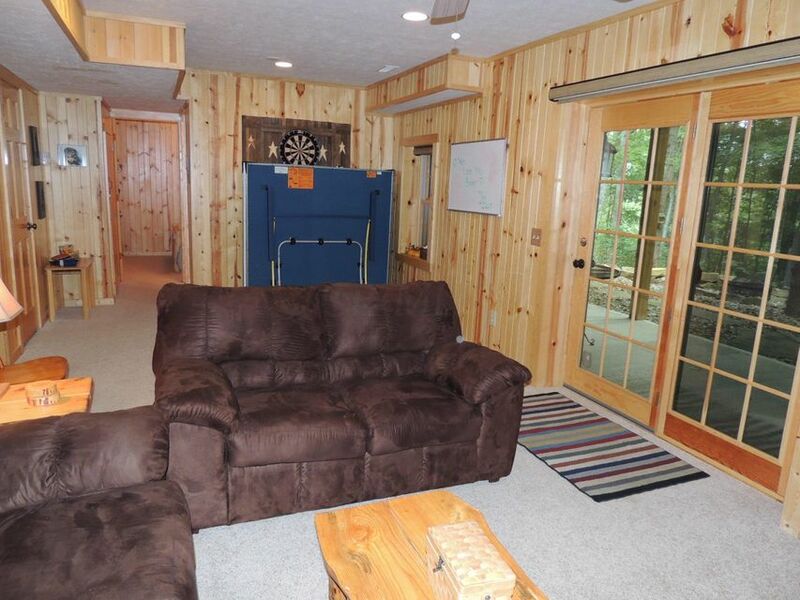 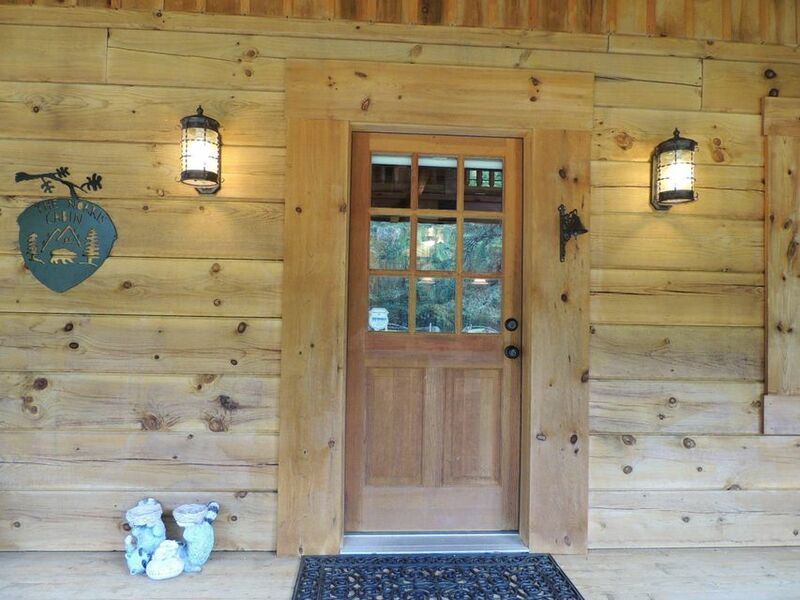 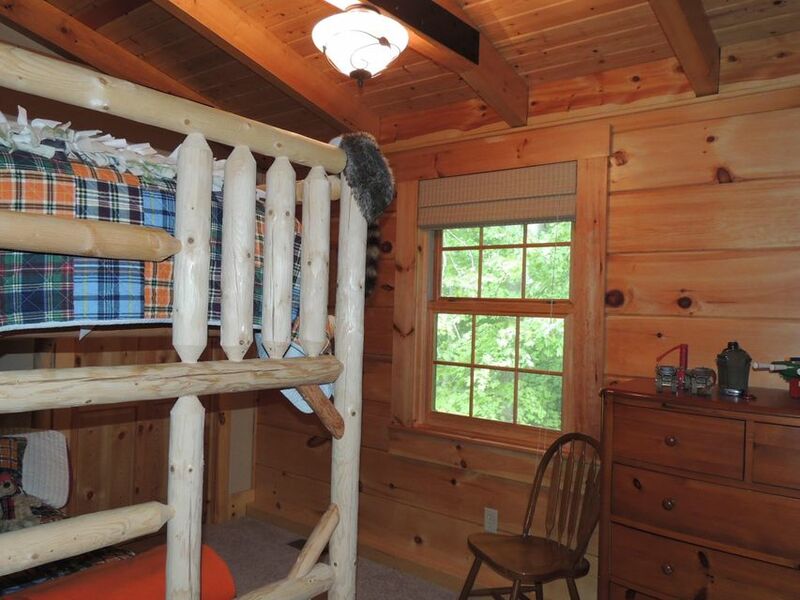 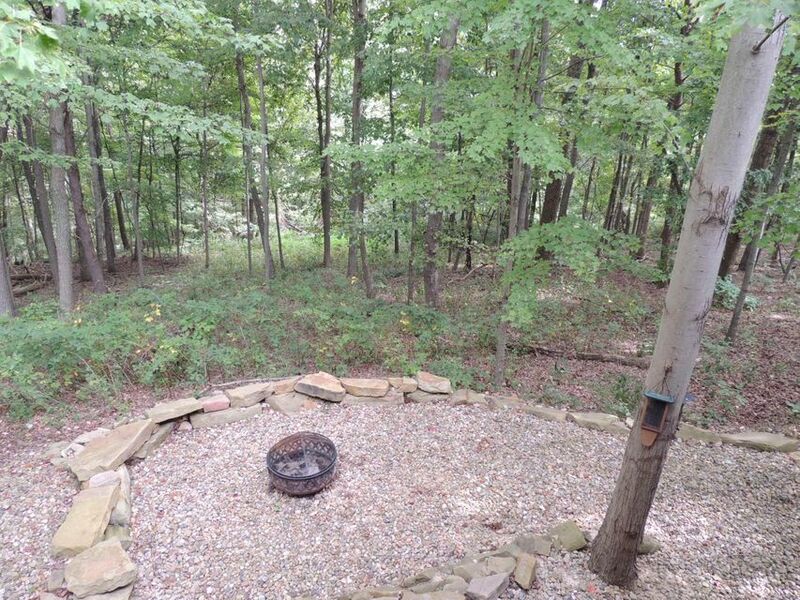 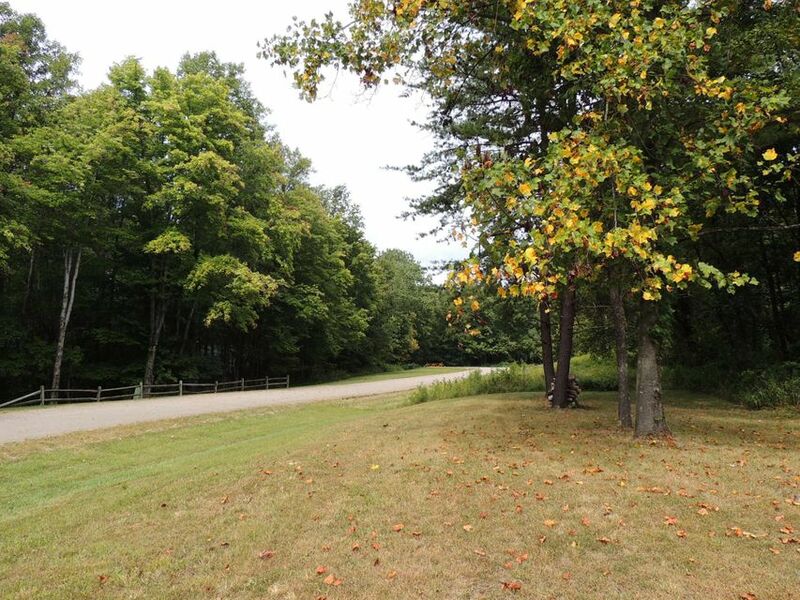 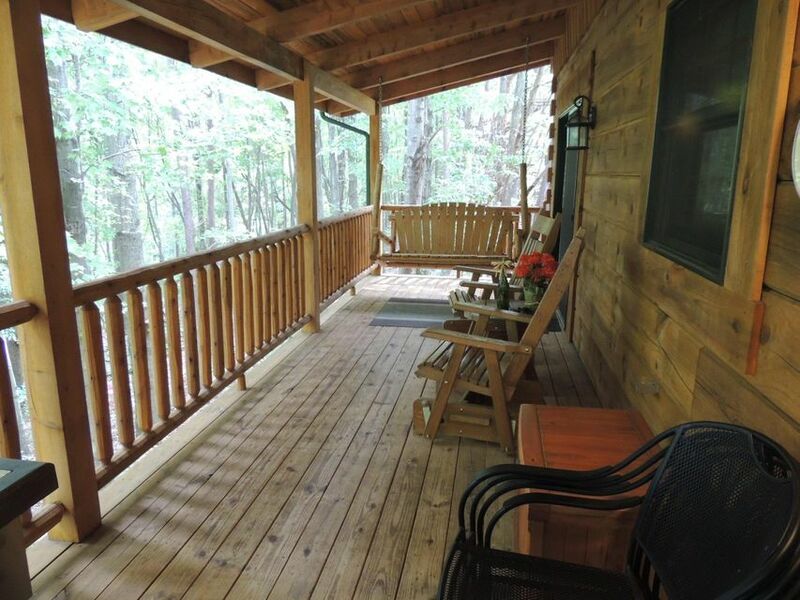 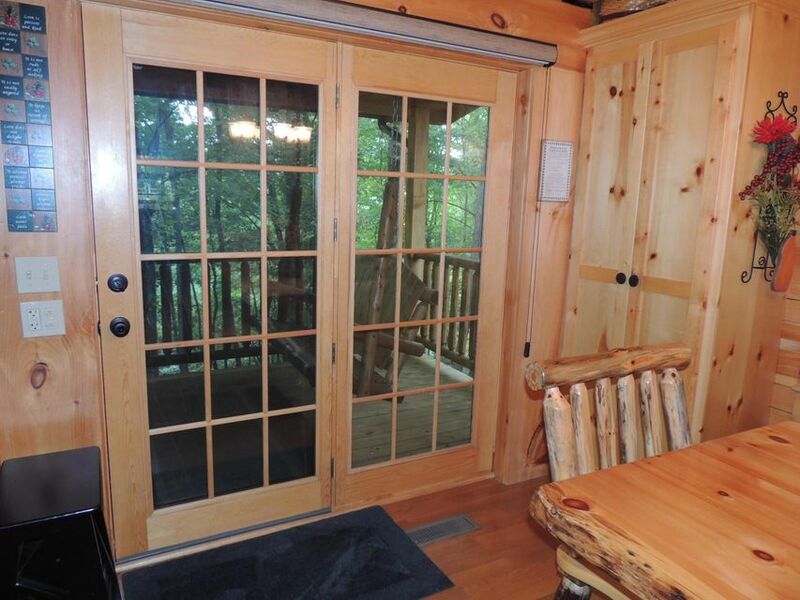 Escape to this log home in Buena Vista Estates near Clear Creek Park and all Hocking Hills destinations. 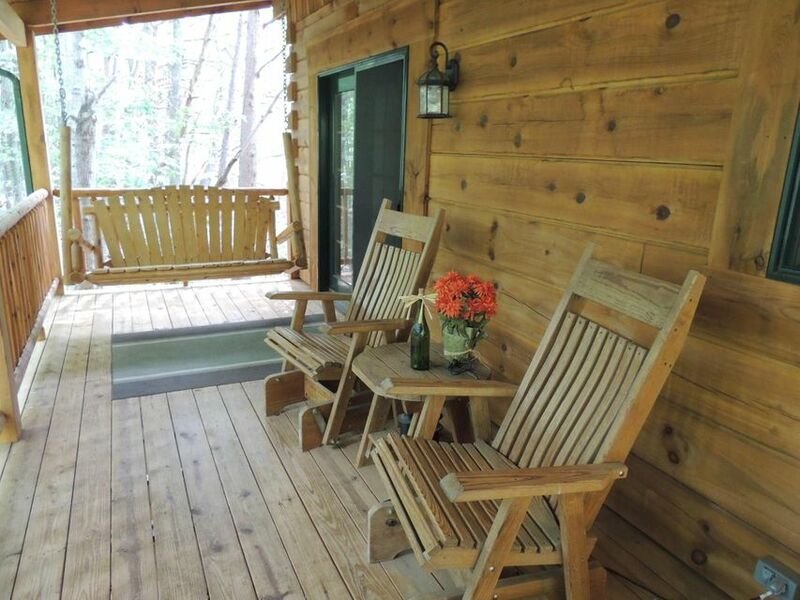 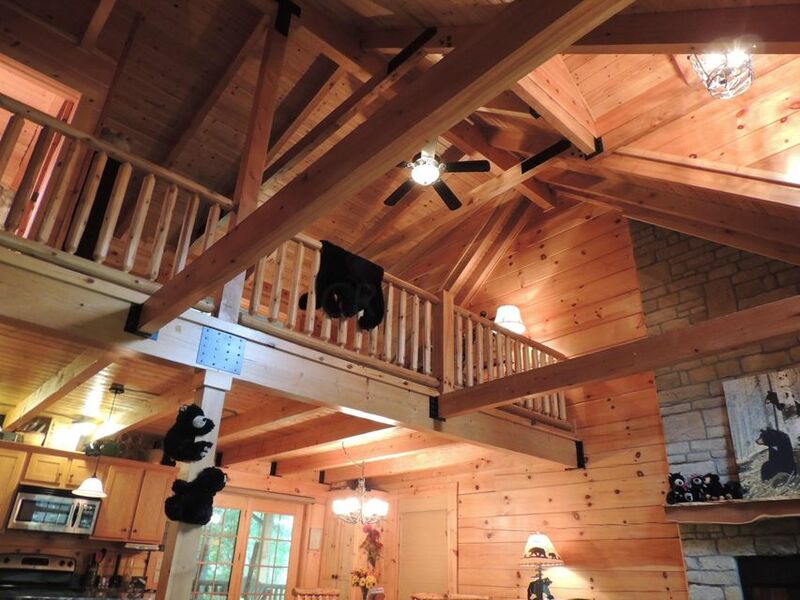 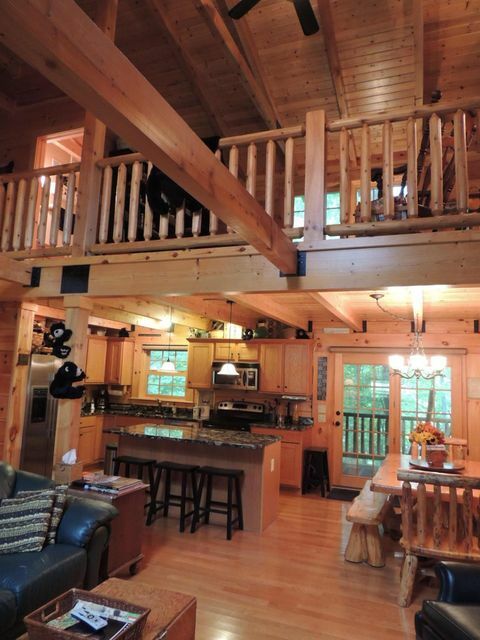 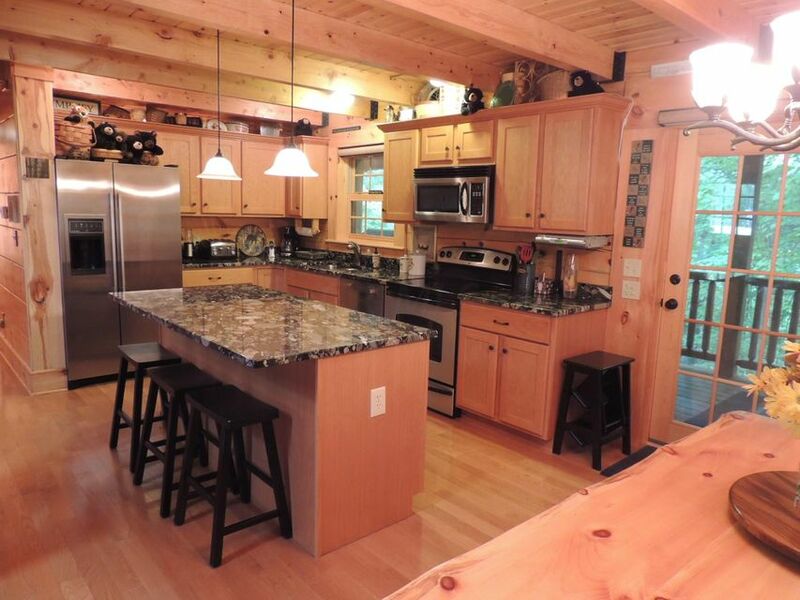 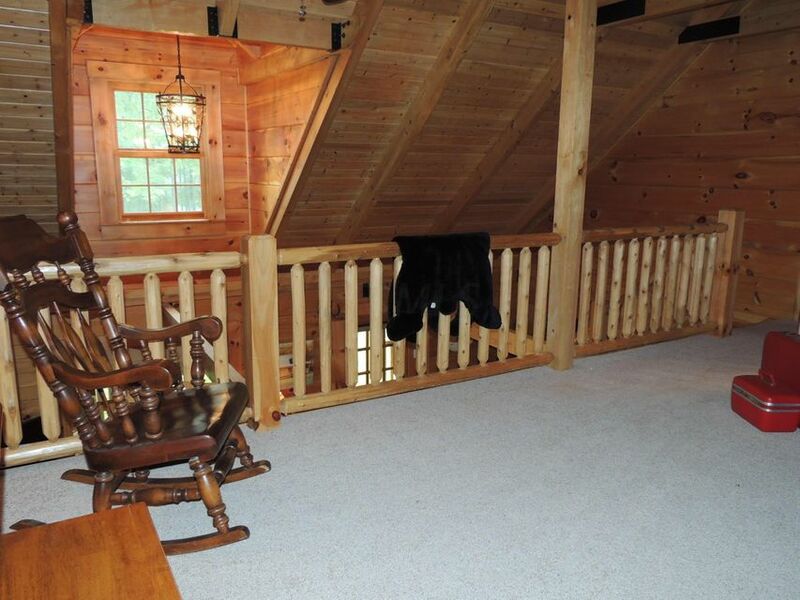 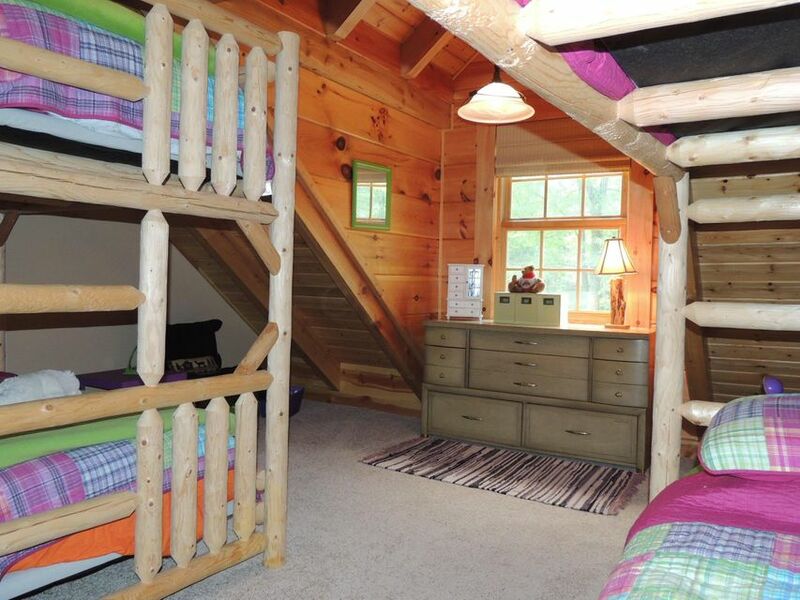 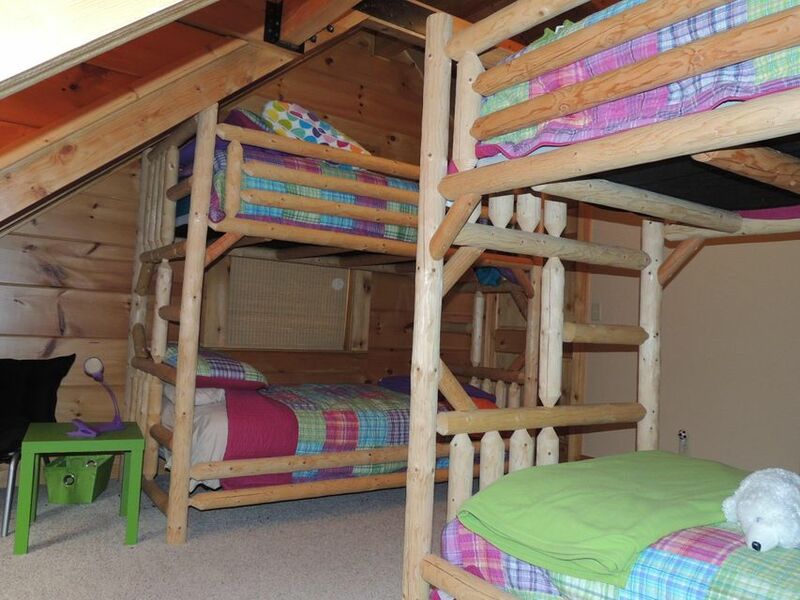 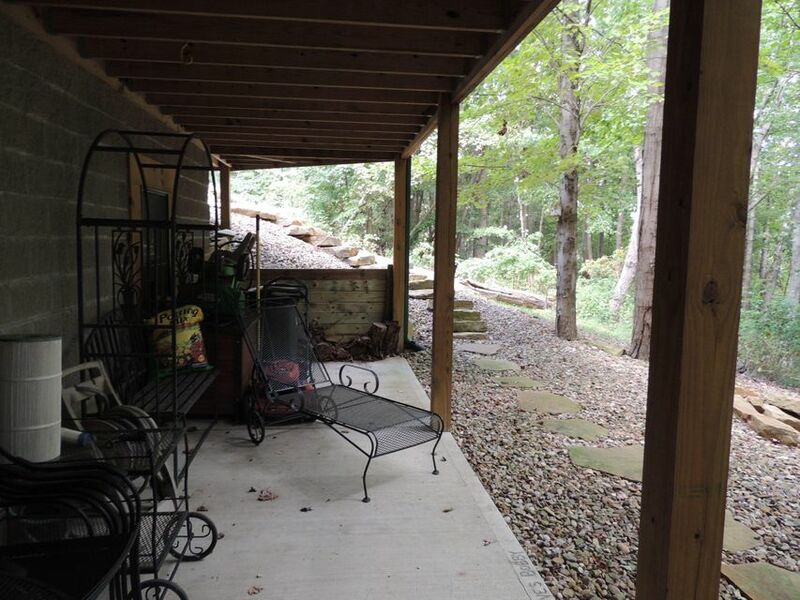 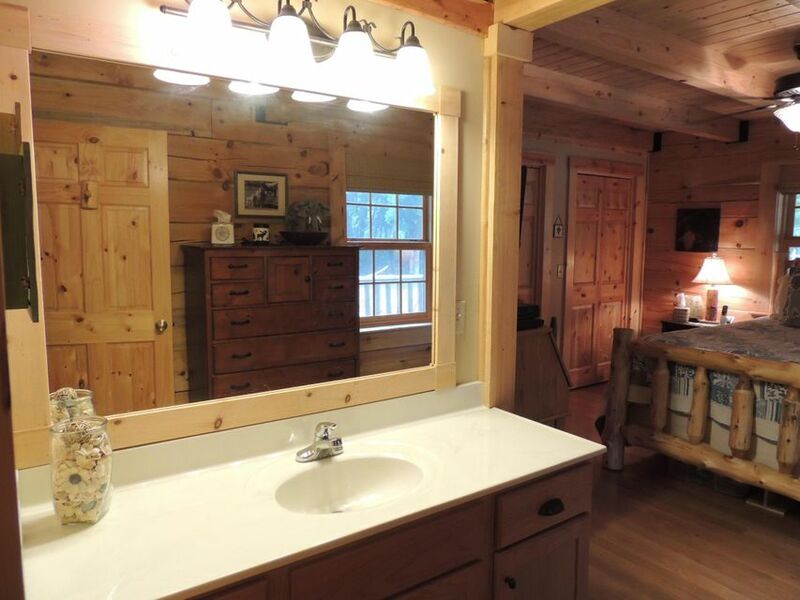 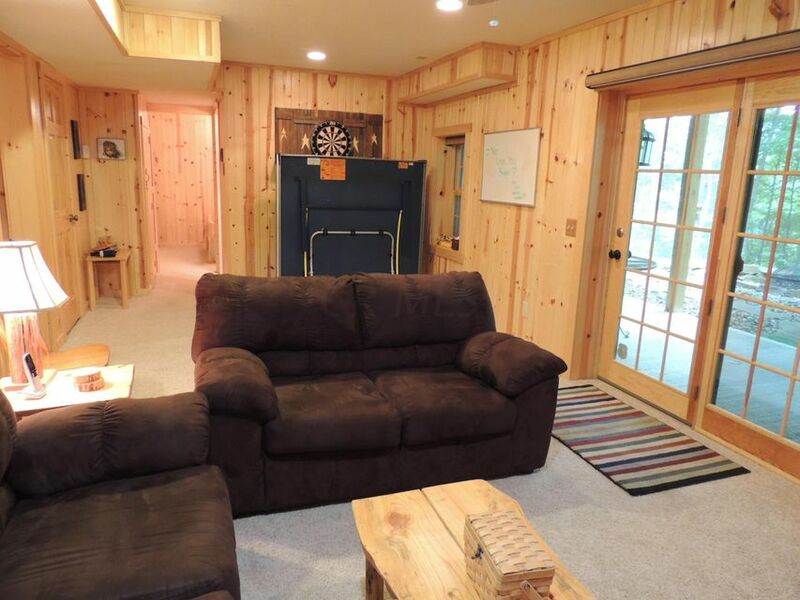 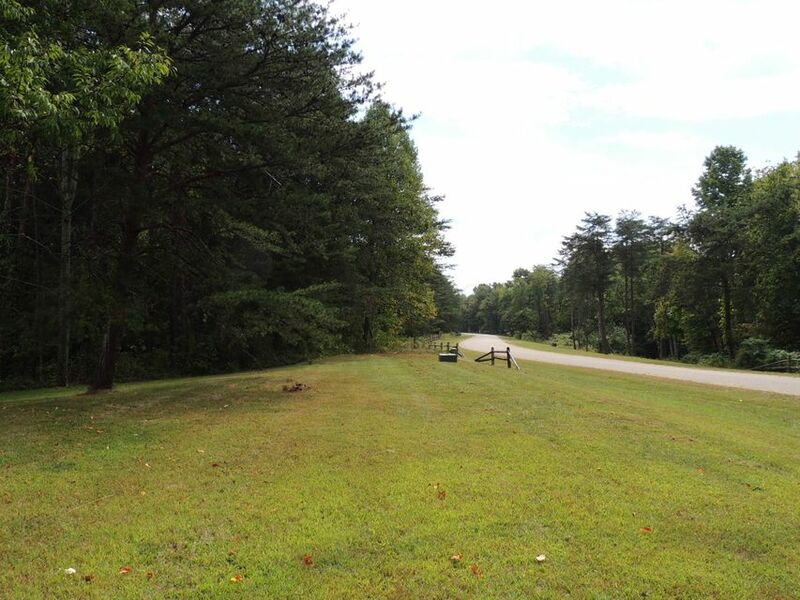 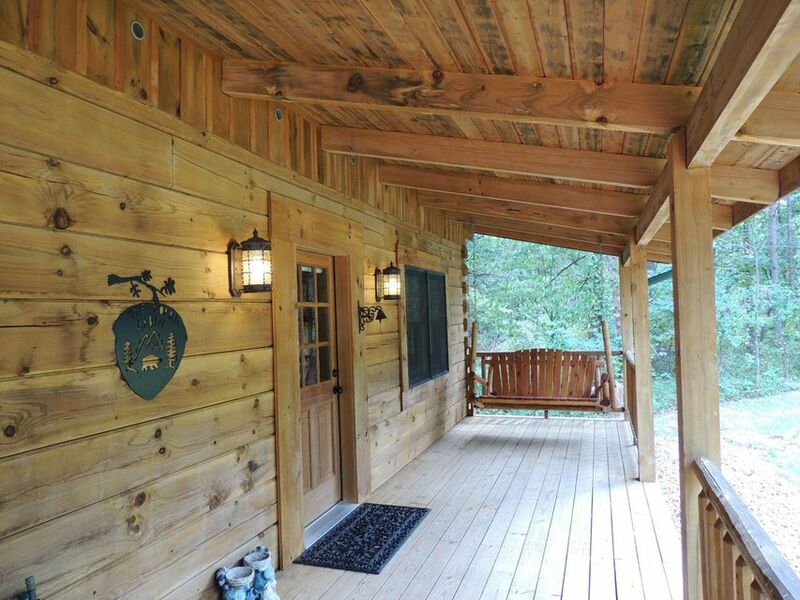 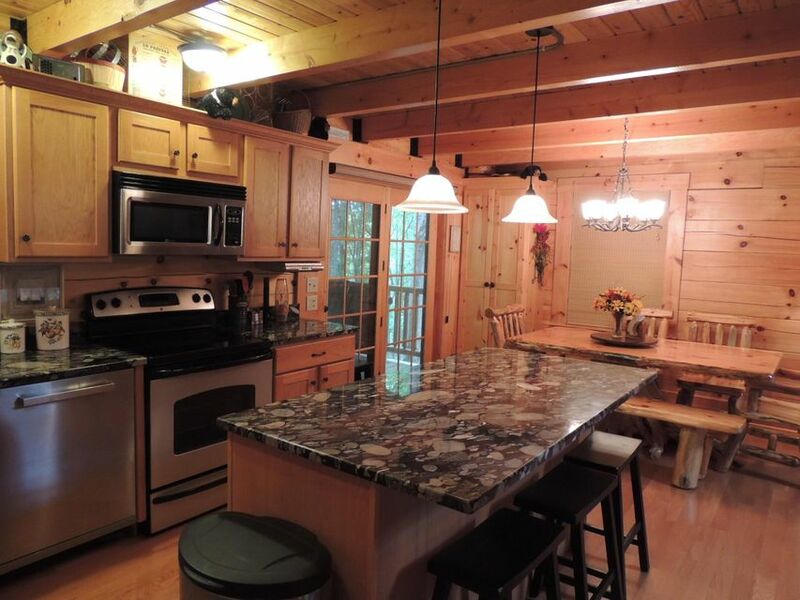 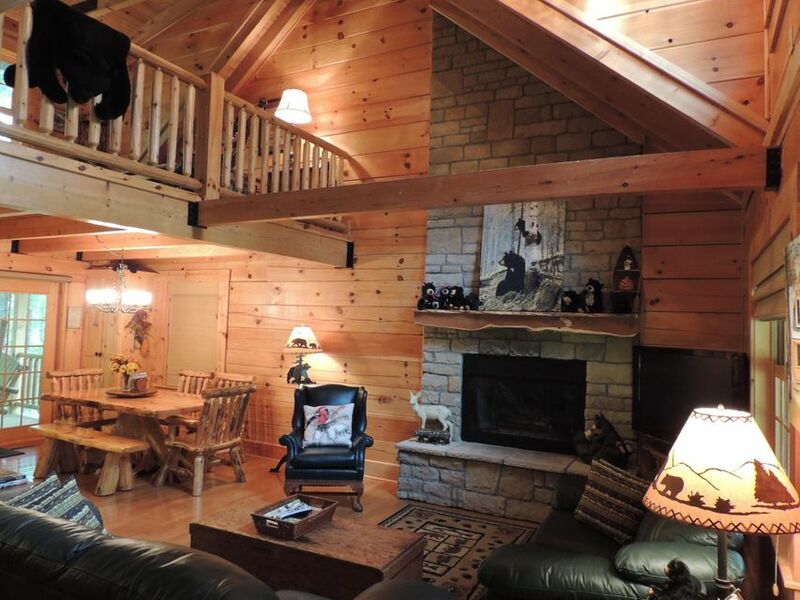 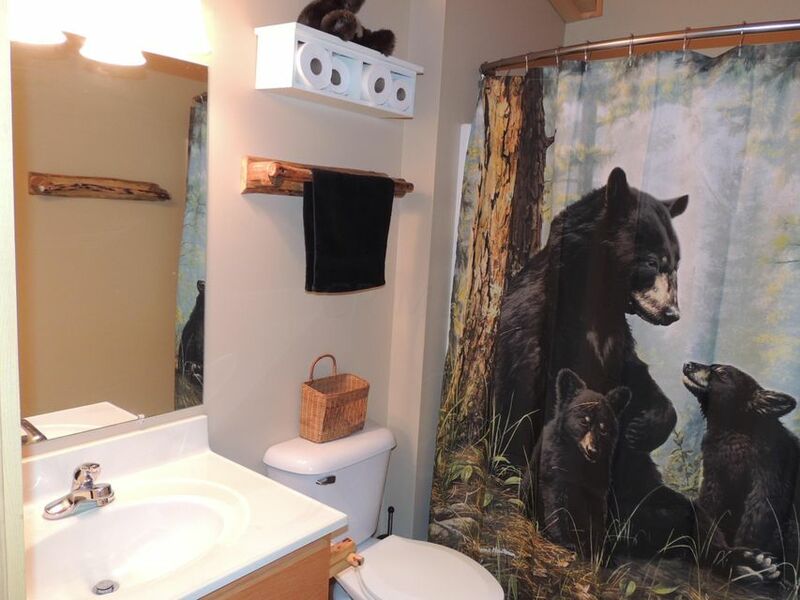 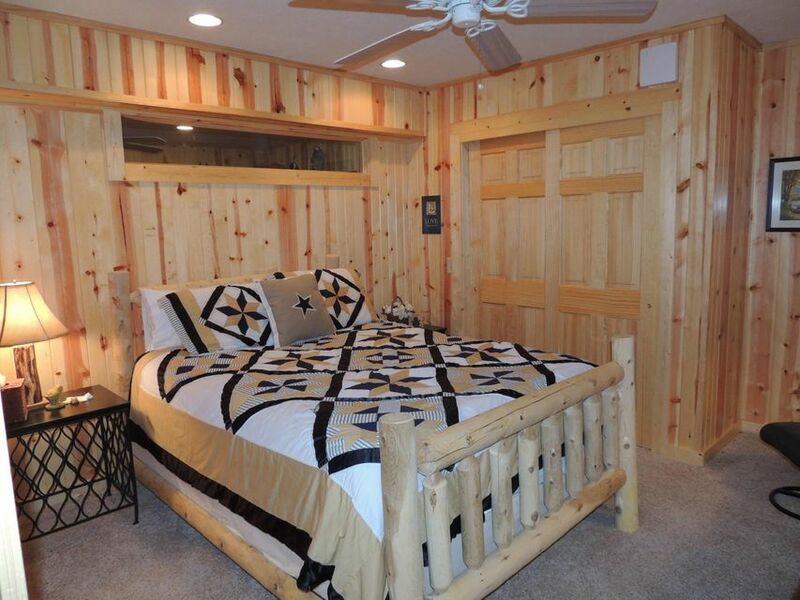 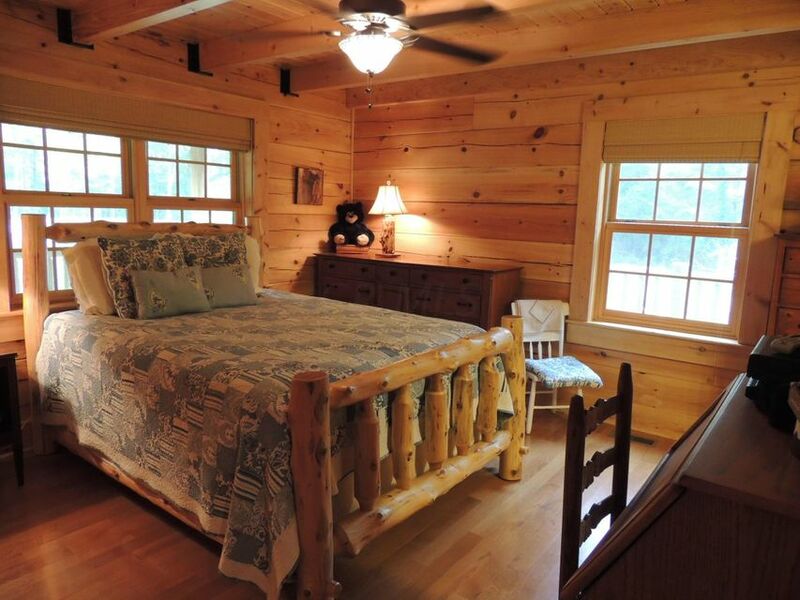 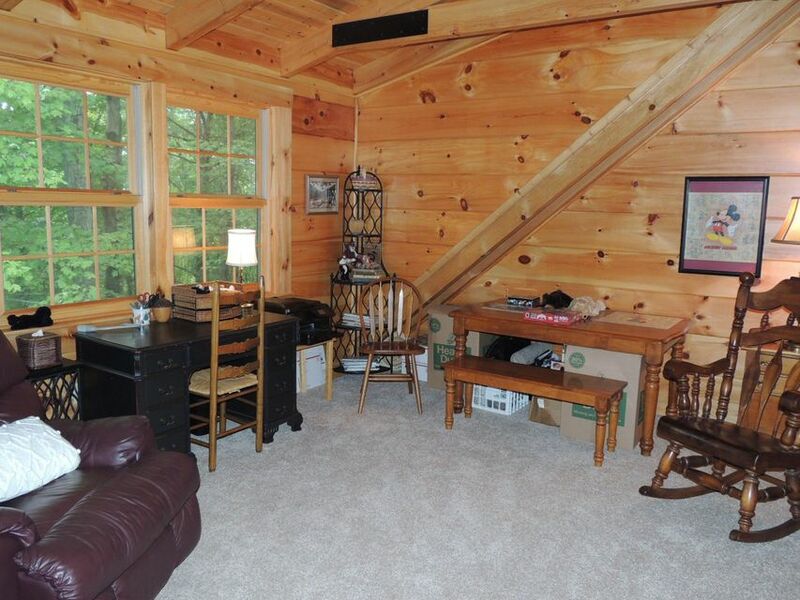 Built in 2008, the Appalachian Log Structure home features 4 or 5 bedrooms, 3 full and one half bathrooms, great room with open kitchen/dining area, open loft and finished walkout lower level. 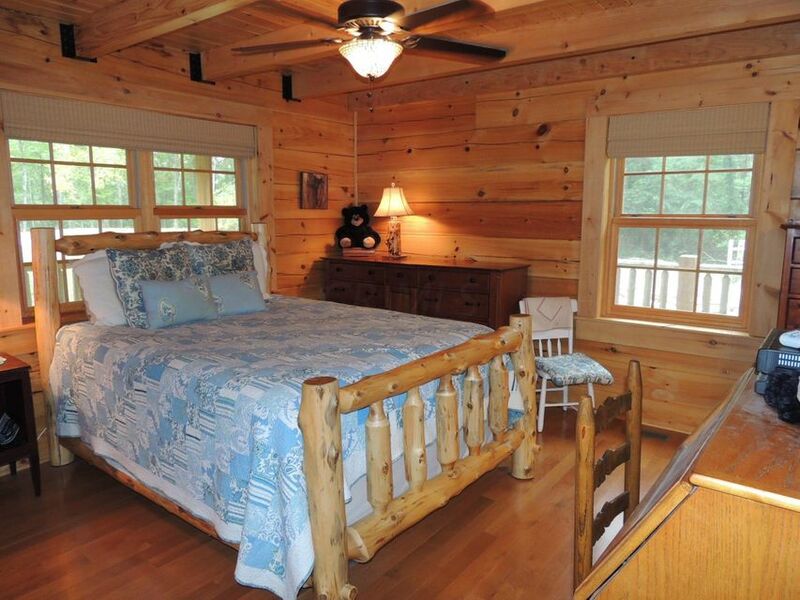 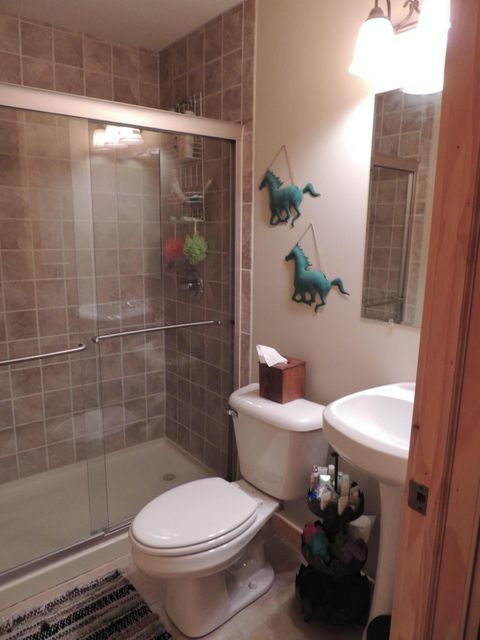 Furnished as a vacation lodge, most of the personal property is available for turnkey enjoyment . 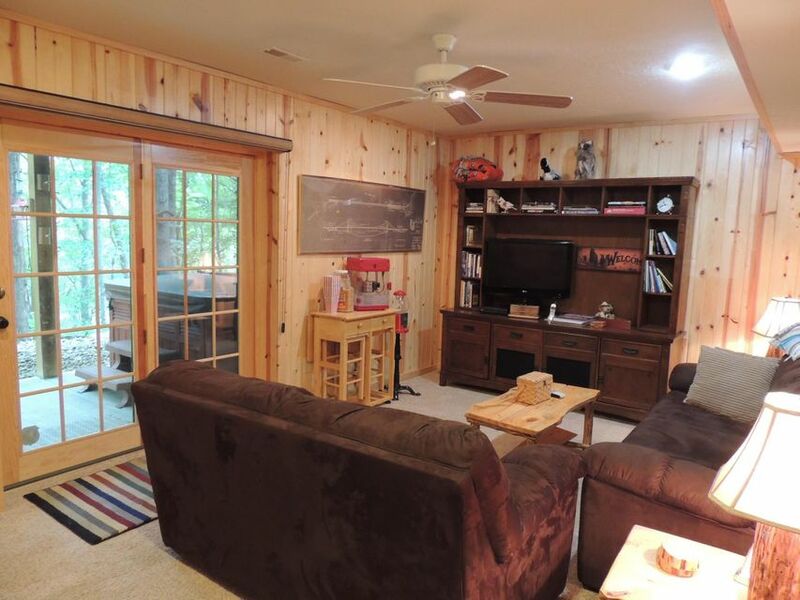 Wood burning fireplace, sauna, and hot tub with landscaped fire pit and covered porches where swings are a must to create the perfect indoor and outdoor entertainment areas! 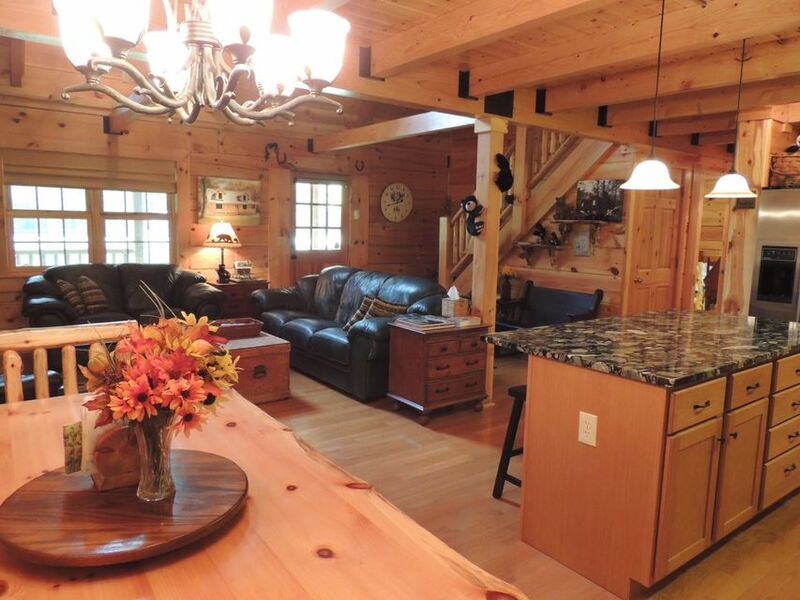 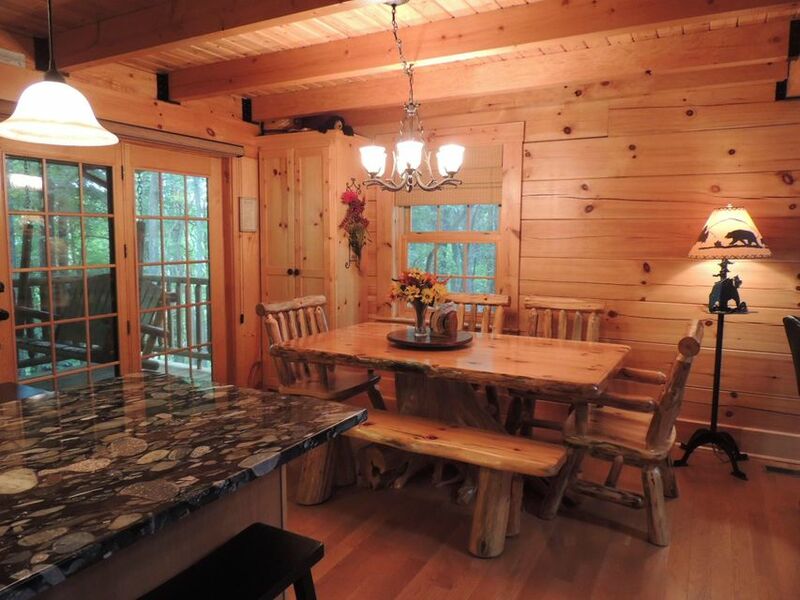 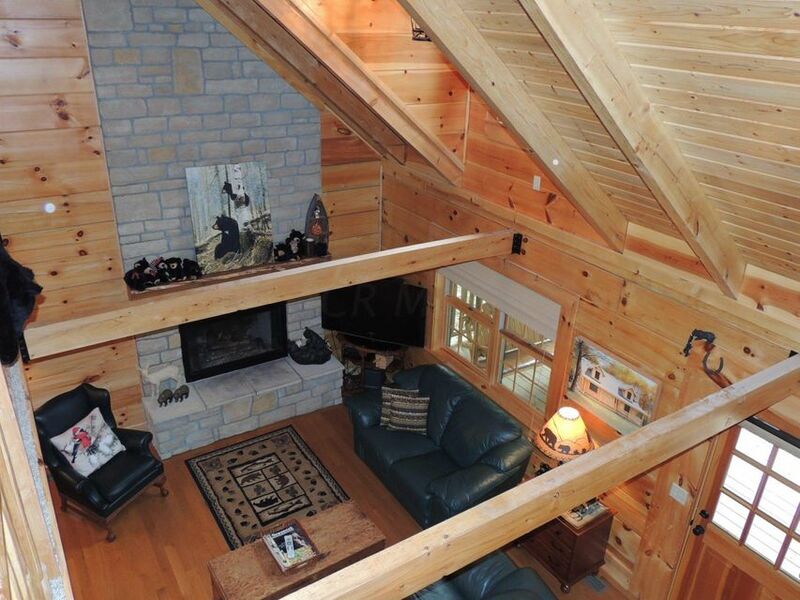 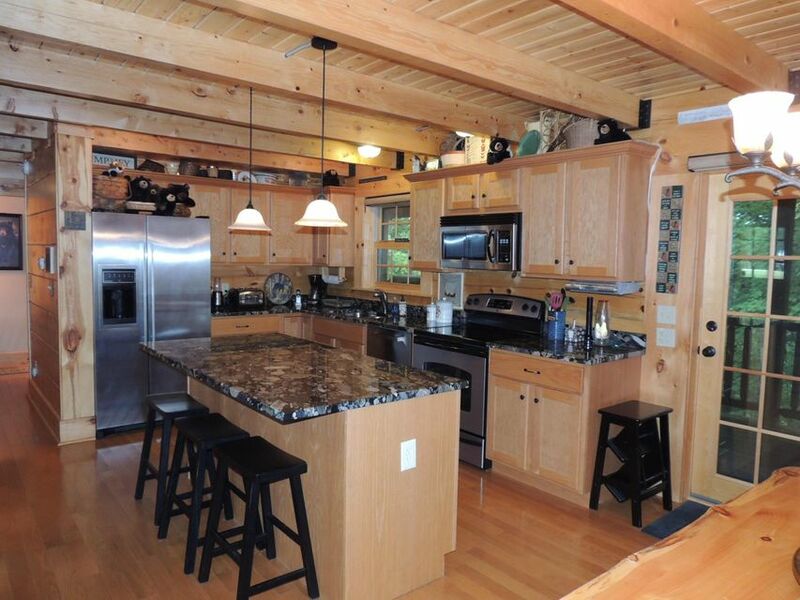 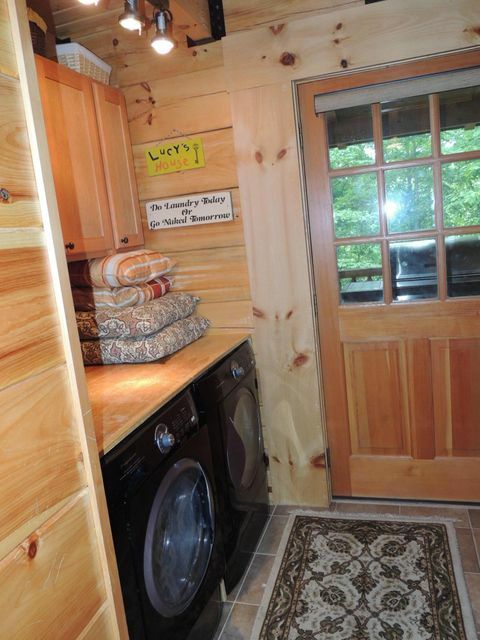 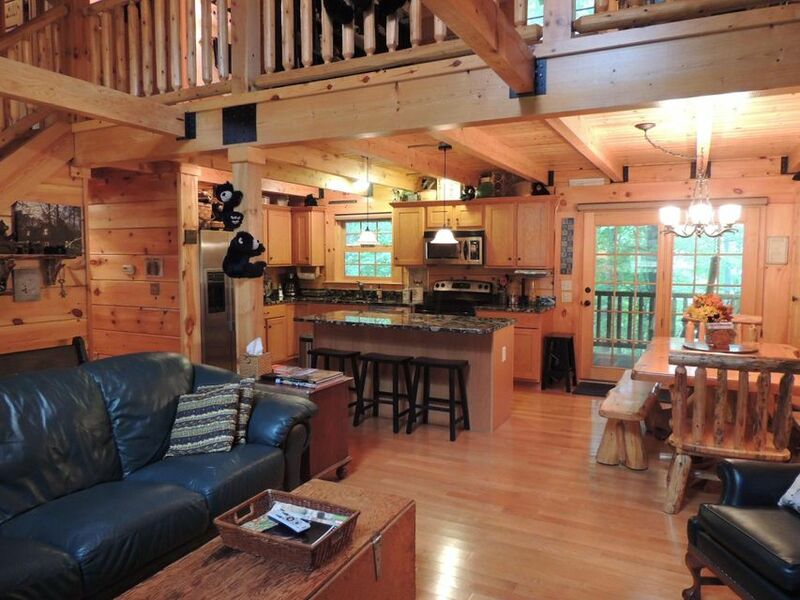 This area of nicer log homes has deed covenants but vacation rental use is permitted.